A few weeks a go I shared this picture on Instagram. 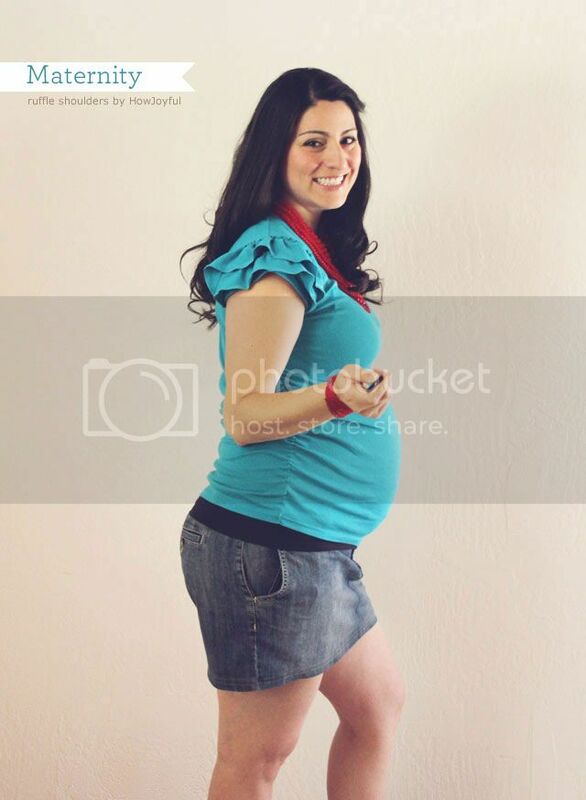 And today I am going to share a little tutorial on how to transform an XL t-shirt I got at Target for $5.00 into a cute maternity friendly with ruffle shoulders! 1- As I mentioned before I started with a XL t-shirt, I normally wear Medium size so if you try this you should at least get a shirt 2 sizes bigger than your normal size, 3 sizes would give you a lot more material for your ruffles, so just get one as bigger as possible! 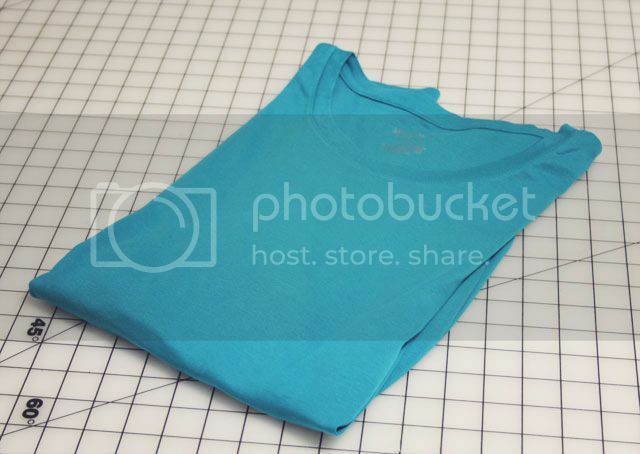 2- Try your shirt on and pin the sides so you can see how much you can take from there, after that fold your shirt in half to make sure both sides would be equal and cut as shown in the pictures. Double check the fitting under your arms and leave a 1/4 inch for seam allowance. 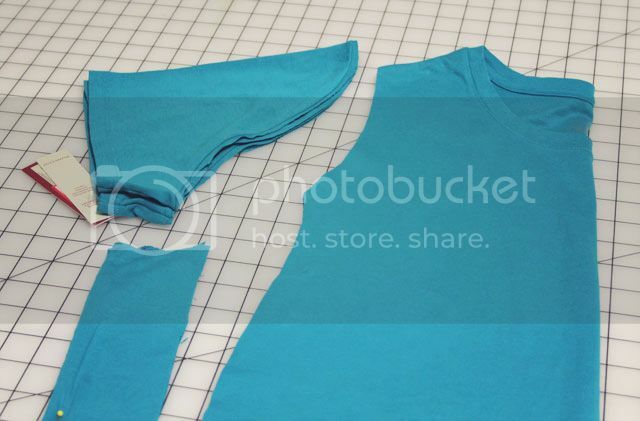 3- Cut the shoulders to your desire height and round the corners, they would be a lot longer than needed but we'll cut the excess when attaching to the shirt. Also cut stripes from the sides of your shirt (the wider you can, the better). 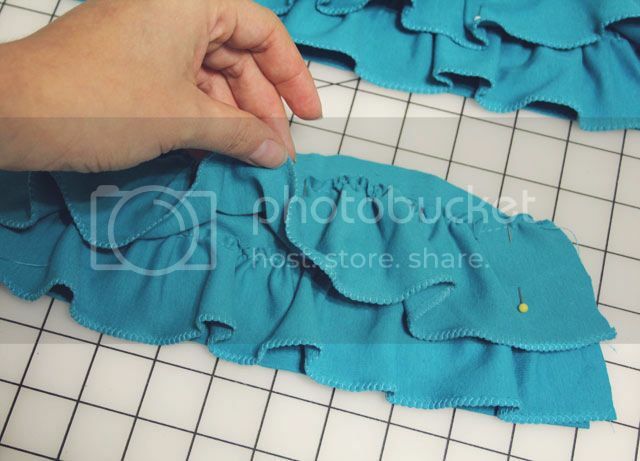 Make a small fold on both sides and zig-zag the edge to prevent fraying. 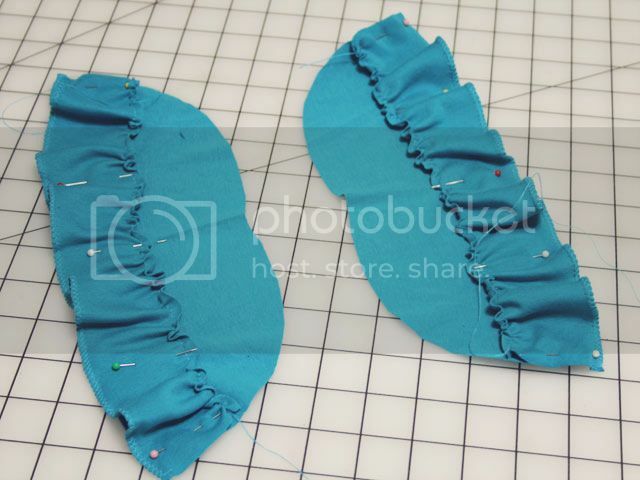 4- Make ruffles with your stripes, and pin them to your shoulder piece. I pinned mine 1/2 and inch below the seam of the shoulder so that you can see the ruffle better. 6- sew the sides of your shirt and try it on backwards so that you can pin the shoulders better, I decided I didn't wanted the shoulder piece all the way around my arm, so I only left 3 inches total on the bottom, sew it and then zig-zag stich all the way around to prevent fraying, I folded the 3 inches under the arm and topstitched. 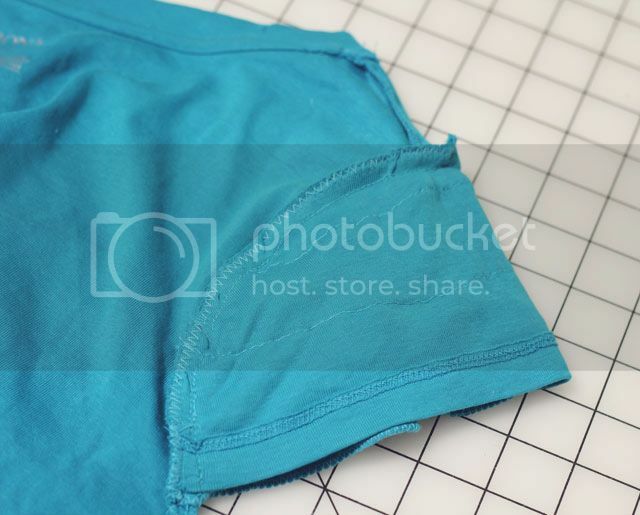 7- The last part is to add the elastic on the sides, measure from where you want the elastic to start and how short is comfortable for you. In my case I added 2 pieces of elastic 3 inches shorter than the length I was going to sew it to. 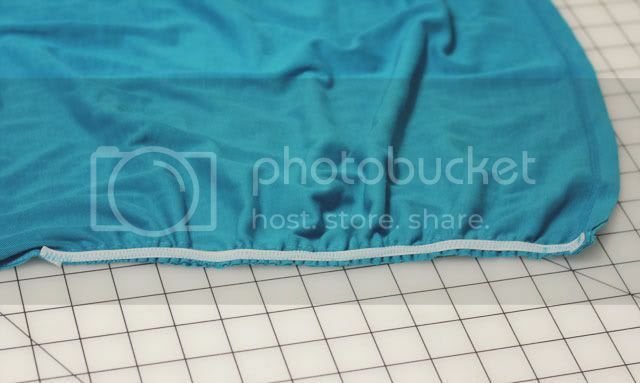 I pinned the elastic on the beginning, end and center and run it through the machine using the zigzag stitch. 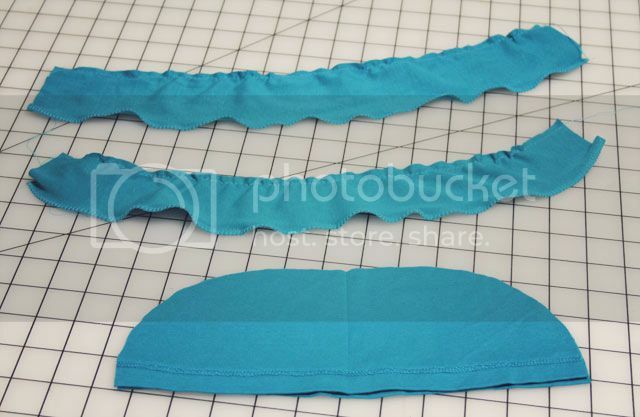 Just make sure you pull the elastic when sewing it so that gathers the fabric once it's in place. I hope you all have a wonderful 4th of July and I am offering a special 40% OFF all my premade templates for this week only with the coupon JULY4TH, so if you want a to refresh your blog for the summer, here is your chance! Have a sunny and lovely day! * This tutorial is provided for personal use only. This is so cute! 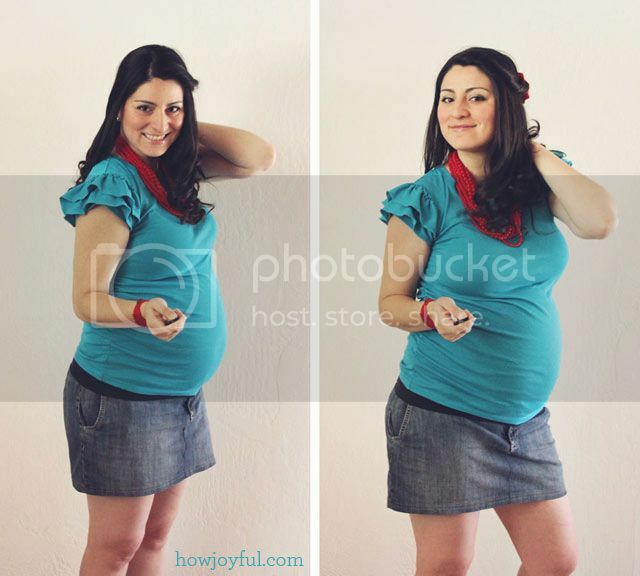 My tummy seems to be about the same size as yours… Will definitely try this out! Hopefully you’ll get to use it next time, or just add the ruffles to any of your t-shirts now =] Have a lovely day! That shoulder! Yes! 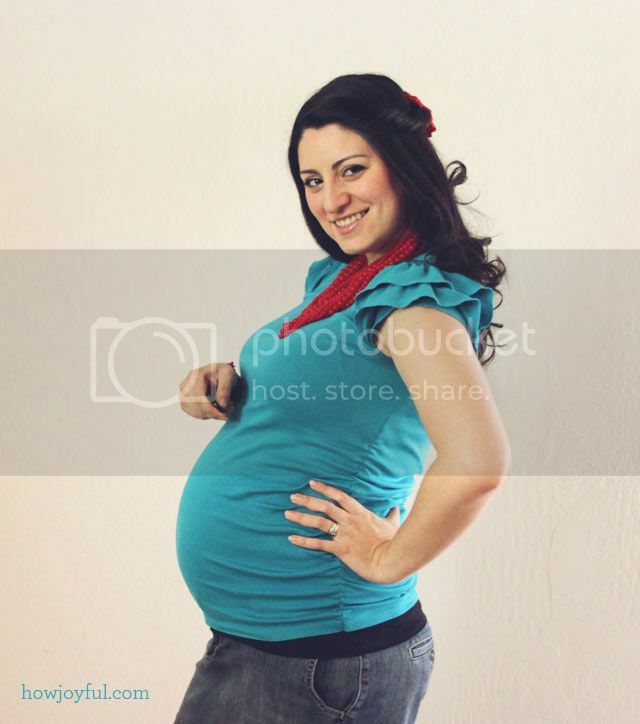 And I don’t even have to be pregnant to reap the bounty of that one. YAY! Thank you for following Amanda =] glad you found my blog!